This quarry is the oldest and most famous of the Connemara marble quarries, opened commercially in 1822. Stone Age man worked the marble from this deposit 4000 years ago and axes made of Connemara marble are in the collection of the National Museum of Ireland. One of the finest examples of a stone age wedge tomb in Connemara is located a short distance from the marble quarry. The quarry produces a great variety of colours from the dark green, light green and the brown and white sepia marble. In 1843 the celebrated Victorian travel writers Mr. & Mrs. S. C. Hall visited the quarry and purchased a slab of marble measuring 3ft X 2ft for £3.10s. In their book Halls Ireland they wrote glowingly of the Letternoosh deposit. A book by Sir Robert Kane in 1844 referred to marble from the Streamstown quarry at Letternoosh been exported in considerable quantites. Marble from the Steamstown quarry is to be seen in Cathedrals and public buildings including the Gothic Church in Kylemore Abbey, Connemara, Westminster Cathedral , London . General Post Office, London and the Oxfords University Museum of Natural History. In 1895 Robert C. Fisher and Company, Marble Merchants, New York City shipped large quantises of our marble to the U.S.A. where it was used to decorate cathedrals, churches and public buildings. One of the finest examples of our marble in the United States can be seen in the Senate Chamber and Senate Post Office of the State Capital Building, Harrisburg, Pennsylvania completed in 1906. Cregg Hill, Letterfrack, Co. Galway. The marble in Cregg Quarry is mainly white with a vein of light green. The quarry was first opened by Richard Martin 1754-1834 the founder member of the Society for the Prevention of Cruelty to Animals. He paved one of the floors in he’s home Ballynahinch Castle with this marble every second stone white and green. The 1823 publication Letters from the Irish highlands describes a walk to the white marble quarry, 17th August 1823. The author describes the location of the quarry at the foot of Cregg Hill and on the side of a little brook on Mr. Martin’s estate. In an 1886 Geological report compiled by Rd. 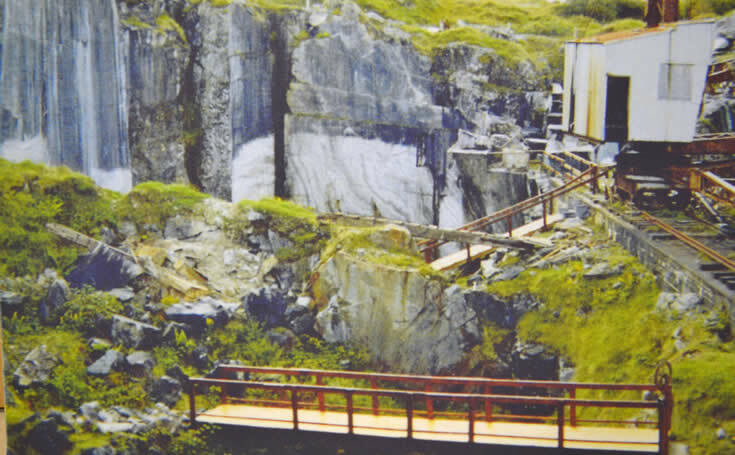 Kinahan he describes the marble from this quarry as being “eminently suited for delicate cut-stone purposes. 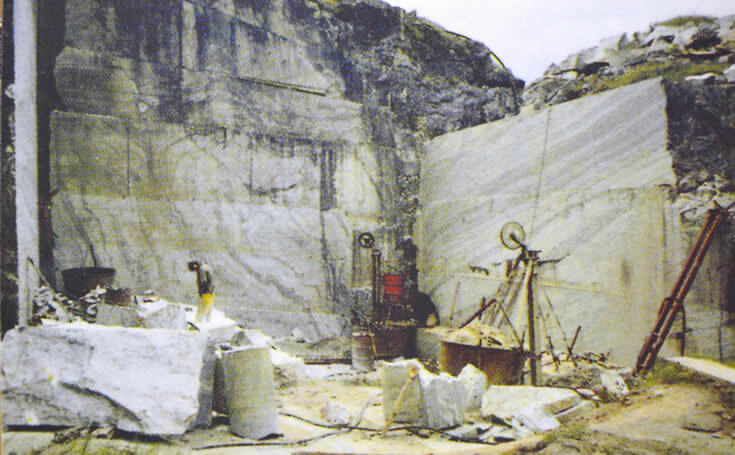 In the 1970s Ambrose Joyce supplied marble from this quarry for terrazzo floors used in public buildings all over Ireland including Shannon Airport and Galway Railway Station. Today we use small quantities of the pure white Cregg marble in our Connemara marble jewellery.